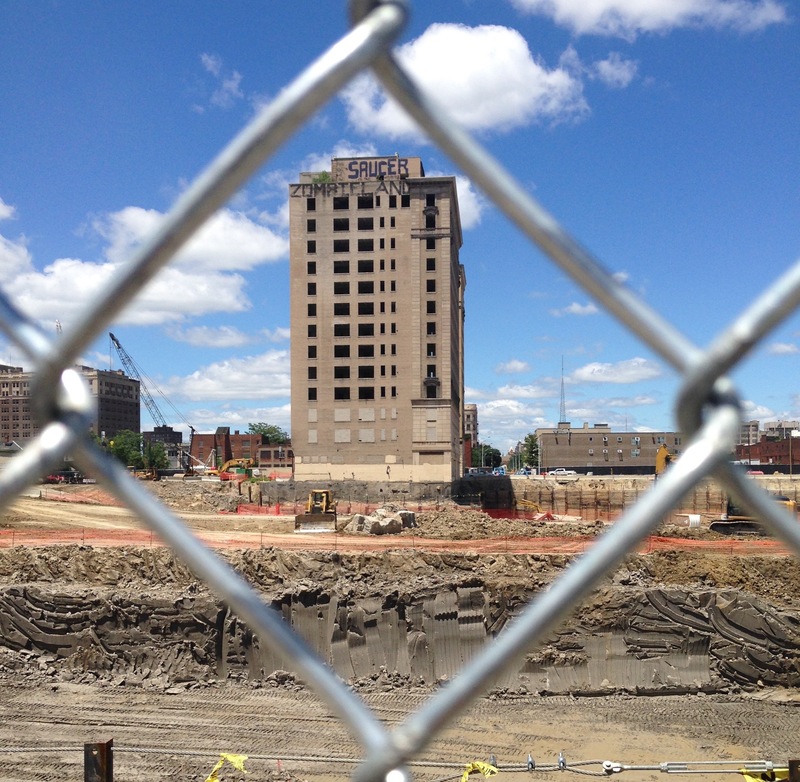 “So devastating, but so controlled.” That was the eloquent observation of Uncle Nate, a homeless man and self-professed Detroit historian who summarized the demolition of the once-beautiful Italian Renaissance, Park Avenue Hotel Saturday morning. To him, the instantaneous obliteration of the massive, 13-story structure at 2643 Park Avenue in the Cass Corridor was a clear reminder of how much easier it is to destroy than to build. This is a truth that Detroit must reckon with every day, which is why it is so important to carefully consider what we allow to be taken away. New York used to be the city with no past– beautiful edifices were sacrificed with minimal controversy to make way for the new and the better. New Yorkers who disagreed with such practices lamented the loses, but ultimately surrendered to their powerlessness to stop the forces of progress and change, the loss of something so irretrievable as a demolished building. 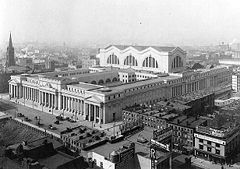 That was, until, the original Penn Station was destroyed and replaced by the current iteration, which is to the old station what cardboard is to marble. Not coincidentally, the removal of Penn Station also made way for the construction of Madison Square Garden, the stale arena which is architecturally stale. It is not fair to ascribe the same importance to the Park Avenue Hotel as to Penn Station, but Detroit’s path is not unlike the one that ended with mass regret in New York. There is nothing quite so irretrievable as a demolished bulldog. That the hotel would be razed was a foregone conclusion, preordained by years of planning, powerful influence and very deep pockets (I call it the last piece of the “puzzle puzzle”). But this outcome is not unique to this one structure or this one project. Ownership of Detroit properties is becoming concentrated in fewer and fewer hands, with individual home ownership plummeting while single entities like the Detroit Land Bank Authority owns tens of thousands of properties and individuals like Dan Gilbert own many dozens. The stronger these power structures grow, the weaker we will be to combat them if we happen to disagree with their vision for the future of this city. If, as Detroiters, we want to take control of the way our city and our skyline look in the future, we have to become responsible for it. We cannot merely complain. We must actually get involved. To start with, we can ask our city administration to apply to real estate moguls the same vigilant standards it currently reserves for low-level blight such as graffiti and dumping. There are paths to progress and development that accommodate rather than obliterate our current infrastructure. If the loss of the Hudson’s Building or the Detroiter or the Park Avenue Hotel are not enough to turn the tide, the question becomes:”Where do we draw the line?” In New York, it took the loss of a prized train station for residents to mobilize. Hopefully, hopefully we’ll take ownership before we lose our own. According to an opinion piece in the New York Times that followed the demolition of old Pennsylvania Station, people will be judged “not by the monuments we build but by those we have destroyed.” With resource scarcity and shrinking population, Detroit is no longer a city that constructs world-class monuments, but what we have, we can preserve; and what we end up with, we deserve. This entry was posted in Detroit, Politics/Social Concerns, Published and tagged architecture, demoliton, Detroit, preservation. Bookmark the permalink.